Financially, Taurus is the perfect individual to have by your side. You are also physically attracted to them. Taurus is associated with the planet Venus, while you are associated with Mars. These two planets symbolize physical attraction. 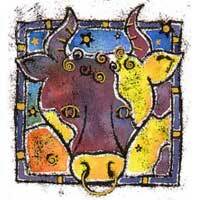 Taurus' Sun is in the second house of Aries, which is associated with money, possessions, and obtaining profitable trades. But a useful warning: Taurus may be too slow for you. Aries is active, he tends to be aggressive and often becomes impatient, and Taurus is a good companion as he is the perfect example of endurance and patience. When it comes to business try not to impose your ideas in front of a native Taurus. He can be very determined, and when taken to extremes, he is downright stubborn. 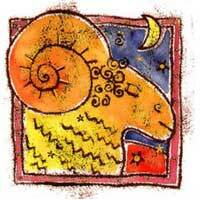 In personal relationships with Taurus, he will attract you and annoy you at the same time. Rest assured his presence will intrigue you; he most certainly will "stick" to you. When you buy something or take part in a negotiation it is convenient to take a Taurus with you.